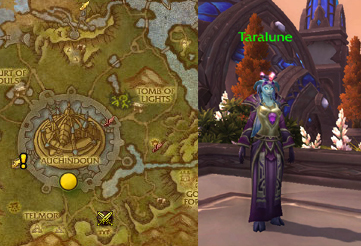 A very new addition in this Warlords of Draenor beta build is a set of 6 tamers out in the world. These tamers have battle pets that are quite a bit easier than the very challenging Menagerie fights we’ve seen to this point. 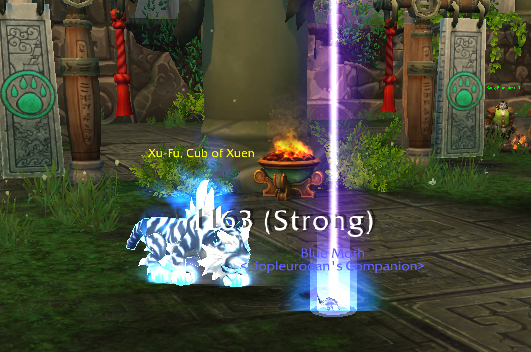 They give two-pet carry XP identical to the fights in Pandaria. Most of them are close to flight paths. For now, these tamers are kind of secret. They aren’t listed on the map at all, so it’s up to tamers to seek them out if they’d like to try their luck. These locations will be revealed in a later build, but for now, here are some maps to help you find them. 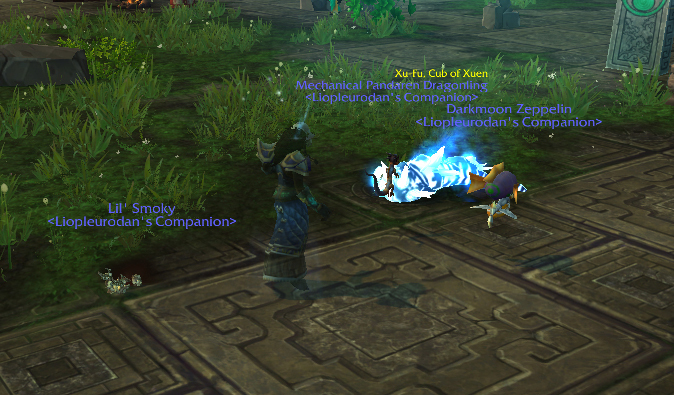 Gargra has 3 super adorable frostwolf pup (beast family) battle pets in tow. 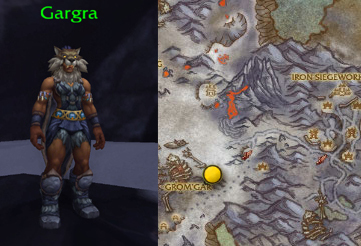 Her location is the oddest, but if you follow the path around the back side of Grom’gar and hug the rocks on the north side her blue exclamation point should show up. Click here for my level one (or Elekk!) carry strategy for Gargra. 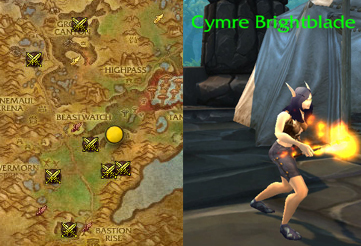 Cymre Brightblade, named after the illustrious Cymre Jones from Bubbles of Mischief, has an array of archaeology pets. She’s also squatting in a ruin with her archaeology gear and some really fun flavor text. With both an undead and mechanical on her team, dragonkin and elementals are good picks. Click here for my walkthrough of Cymre‘s very difficult fight. This team made me a little sad. Ashlei is a new tamer with a few really adorable pets, including the completely useless plushie Doodle. All the cute snugglies are on a plateau overlooking the Embari Village, but easily accessible from a cross-faction flight point. As of now it’s a pretty quick & easy fight, as long as you can get past the heartache of making a little girl very disappointed. Oh, that flavor text. Click here for my strategy for Ashlei, including a mutually-assured Elekk Carry. The easiest to find once you hit the right level, Vesharr is visible on the minimap from the shared-faction flight point in Veil Terokk. 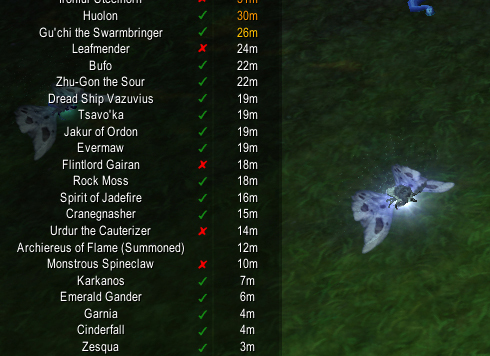 He has 2 flying battle pets and a mechanical, appropriately themed for Spires of Arak. Click here for my strategy post for Vesharr, including an Elekk Carry. Taralune is on a platform surrounded by flowers, near Auchindoun. 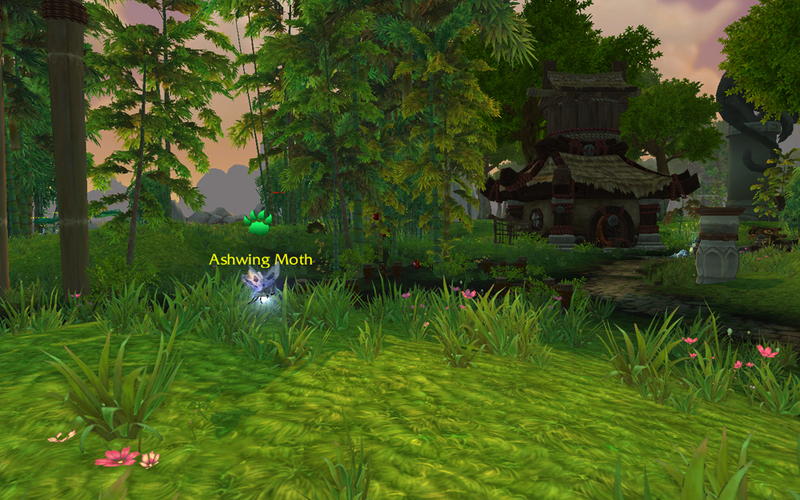 Her team is 3 moths, so as long as you have the battle pets to counter a moth you’re pretty well set. Click here for my strategy post for Taralune, which is a 2-pet Elekk Carry, also suitable for leveling pets. Tarr is in a building toward the back of the Ring Of Blood. His pets are a few of the more recent Murky iterations. They actually have pretty decent synergy among them, but a handful of Undead battle pets will still make quick work of them. 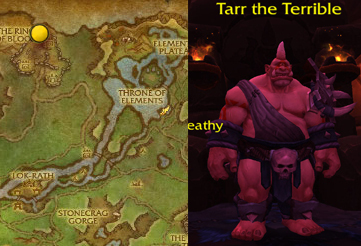 Click here for my strategy to defeat Tarr The Terrible. This is a 2-pet leveling strategy that also works well for our Awfully Big Adventure. This entry was posted in Uncategorized and tagged tamers, Warlords of Draenor, WoD Beta, world of warcraft on August 19, 2014 by Liopleurodon. This is another post which is really more for me than for you. While my specific goals are obviously going to be unique to me, I’m sharing this because some will be fairly universal for a lot of battlers. And I’m posting it now because I’m not sure how long we have until Warlords, and I figure the sooner I start to prepare, the longer I have to procrastinate. 1. 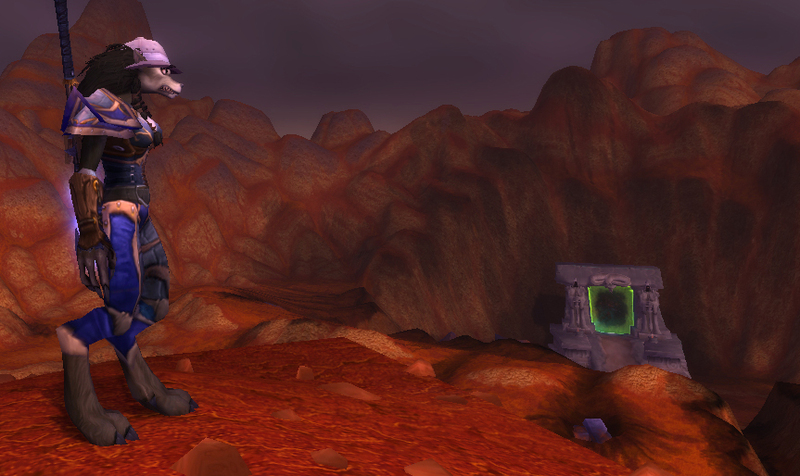 Get all the battle pets from LFR and Normal/Heroic raids from this expansion. 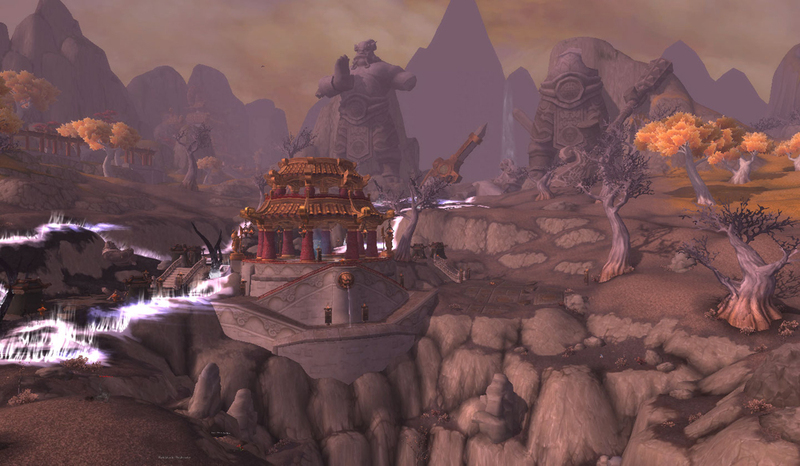 The LFR ones in particular, namely the Gooey Sha-ling and Living Fluid are going to be next to impossible to snag after we move on from Mists of Pandaria. However, because of the incoming item/stat squish, it’s really hard to gauge how quickly people will be able to solo old content. I fully expect the price on, eg the Living Sandling to soar when the Dark Portal opens red, but drop when people can begin soloing Throne of Thunder. However, the price on that Gooey Sha-ling is only going to go further and further up. 2. 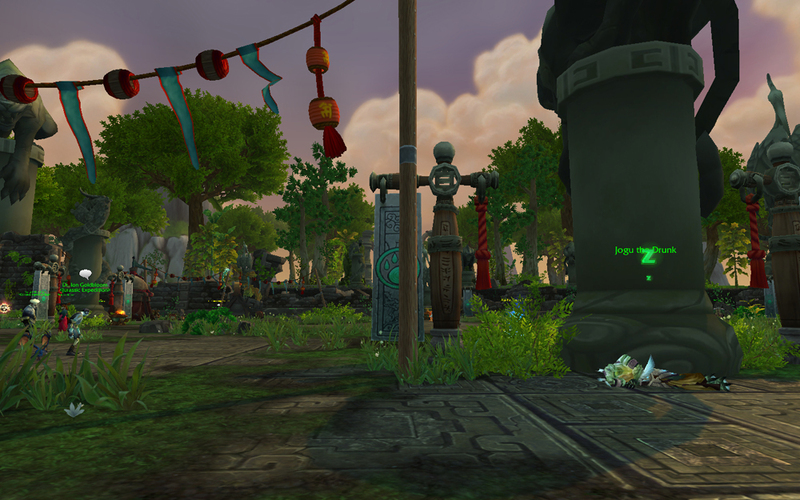 Get all the battle pets from Timeless Isle that require spawn timers. I finally got Garnia to drop the Ruby Droplet battle pet (in a b/b breed, whomp whomp) but I still have many to collect. For now, depending on your server population, there is always a fistful of people on the Isle with some kind of rare timer, sharing their information (the addon pictured is Rare Coordinator). Once Warlords drops, those people are going to evaporate like Morning Glory Dew in Tanaris, and their shared information with them. This likely also means their AH price is going to skyrocket a bit as well. 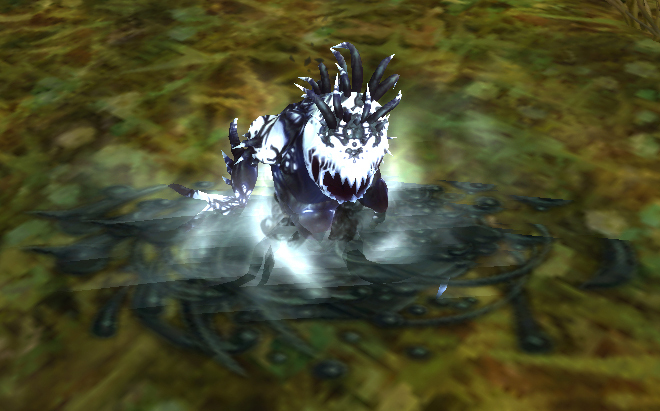 Excepted here are pets dropped from alt-spawn mobs, like the Spineclaw Crab from the Monsterous Spineclaw. Even with the stat squish those are probably going to be just as easy if not easier to churn come Warlords, though I will be trying to grind these as well in the meantime (just not quite so targeted). 3. Keep leveling! 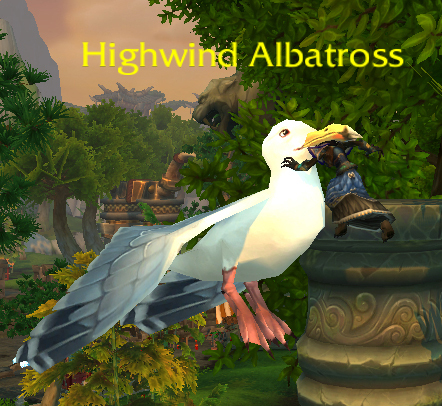 Those new raid and Timeless Isle pets are going to need to run through a lot of pet battles before they’re at cap. 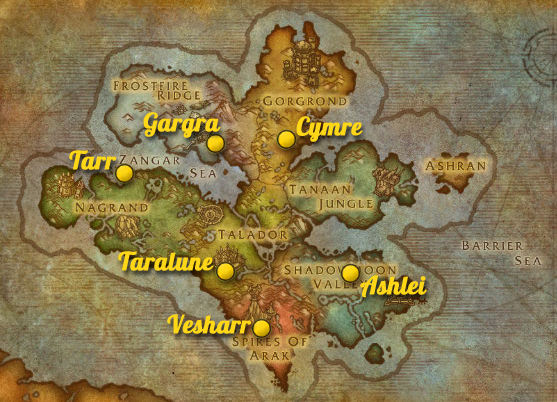 This is kind of low-priority though, as the level cap remains at 25 through Warlords (source). This is also a for-now goal, simply because I get the feeling this may change after beta opens and we discover the nature of Garrisons, and especially breeding… whether we need many high-level pets, many low-level pets, what the quality needs to be, etc. 4. Stones, stones, stones. I still have a lot of pets to upgrade, but more importantly I have a feeling they’re going to pull some Minfernal-styles spawning shenanigans again for this expansion. This is fine, but I’m saving a few of each stone type and a couple universals as well, just in case. I’m also continuing to do the Celestial Tournament and stocking up on tokens (so I can use them on whatever), and especially the pet XP biscuits from the Beasts of Fable daily and PVP weekly. 5. Clean out banks; organize central meta-bank alt. Those stones and biscuits and bandages and tokens need a place to go. 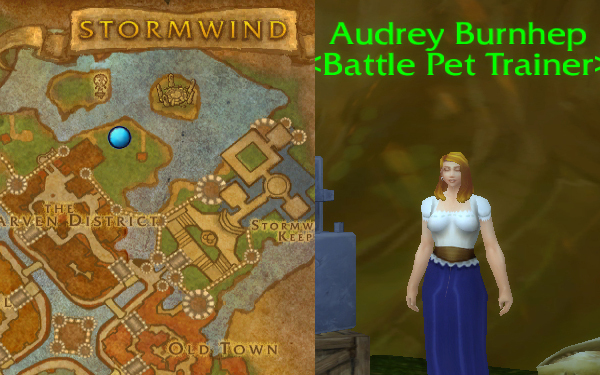 With all this pet stuff (and all those random Timeless Isle armor drops from failed pet RNG) I really need to get on having them all in one location. Altoholic helped me track things down as a stop-gap, but now that Bind on Account means you can mail things cross-server and cross-faction I can have one meta-banker for all this garbage. 6. Finish up on the alts. One thing I found extremely beneficial to battling in Mists was having a character at cap on both factions. It happens oddly frequently that there’s something only attainable on one side or the other (eg, having 2 different pets from Enchanting during Cataclysm). 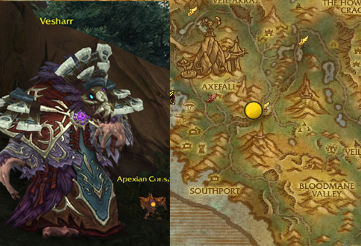 From the map alone it seems like there are going to be some zones which are more easily accessible to one side or the other. While I’ve been largely bifactional this expansion, my Horde toon is on a PVP server, and I’m really over open-world PVP. The rumor is that they’re not turning on flying in Draenor until 6.1, or at least for a while after launch, so I can tell already I’m going to want my level 40 undead at cap, pronto. This also includes trade skills, as it seems like a roll of the dice which profession is getting a crafted pet this time around (probably engineering). And of course, everybody needs to have fishing, because carps. This entry was posted in checklists and tagged pet battles, upgrade stones, Warlords of Draenor, world of warcraft, wow on January 30, 2014 by Liopleurodon. This is the list of posts I’ve made for beginners to WoW pet battles. This guide is very much a work in progress. Starting Out – The brass tacks of pet battles. This post covers where to buy the skill, how to access your pets, how to heal your pets, and how to engage in your very first fight. Team Building Overview – A look at how to start building a decent team for general use, including some tips on synergy. Team Building For Tamers – A more thorough overview of how to construct a team to fight a Tamer. 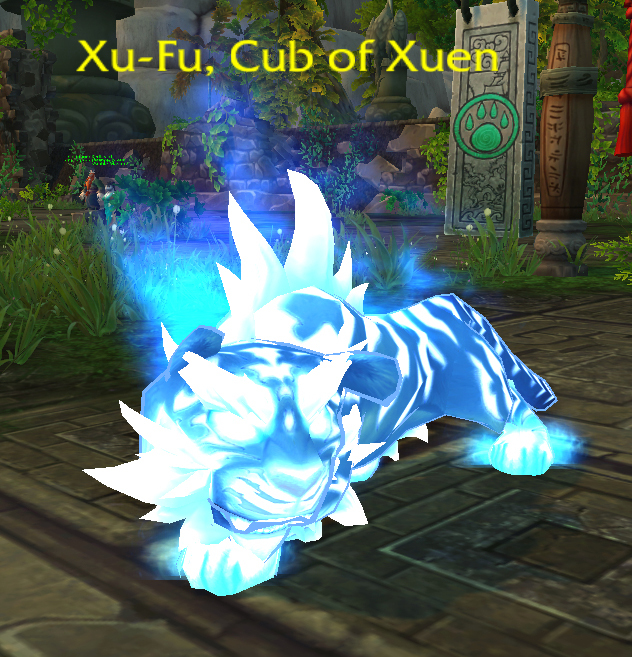 Includes tips for your very first tamer pet battle. Team Building For PVP – A more thorough overview of my personal method for selecting a team to engage in battle pet PVP. Includes a few videos. Breeds – An explanation of breeds in pet battles. What a breed is, and what it can mean for your pets. 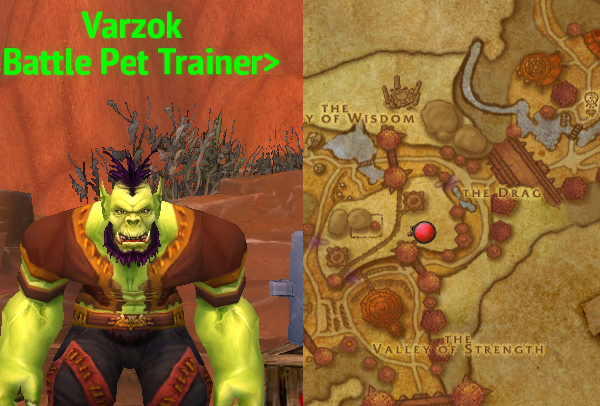 Not to be confused with pet breeding, which is a new feature reportedly coming in Warlords of Draenor. Five Good Pets (and one lousy one) – A quick list of 5 pets you may find useful throughout your battling journey. Cascading (a battle pet leveling technique) – An extreme shortcut for those wanting to get their first level 25 battle pet as quickly as possible. This entry was posted in Pet Battles 101, Uncategorized and tagged 101, battle pets, featured, pets, world of warcraft on December 22, 2013 by Liopleurodon. 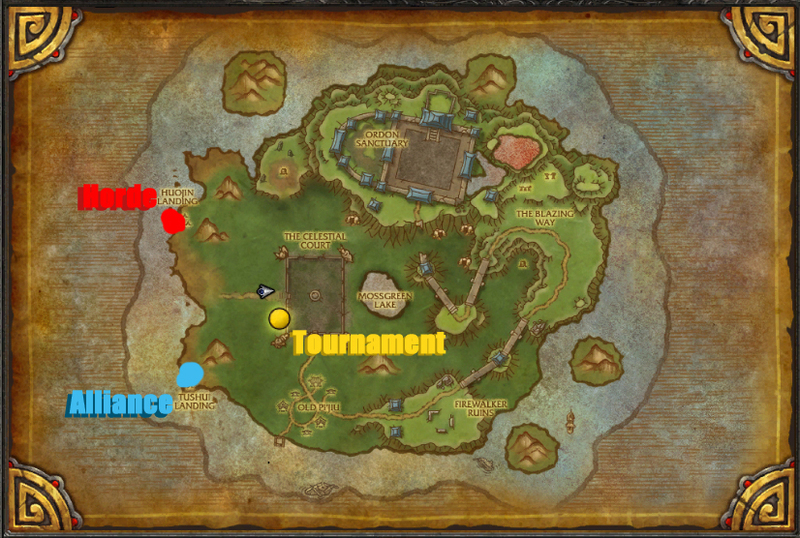 The Tournament and the Timeless Isle have been such a huge topics that I’m writing this post to link everything for easy bookmarking and reference. 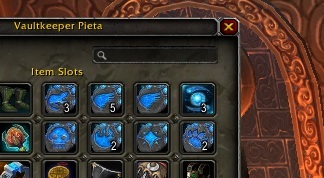 I’m also going to put the comprehensive pets checklist for all the triads and all the Celestials below. This is almost as much for your benefit as it is for mine. I think I’m still missing a grub. Below are also links for some videos of a few new pets you can collect in 5.4. I haven’t posted them on the blog until now! 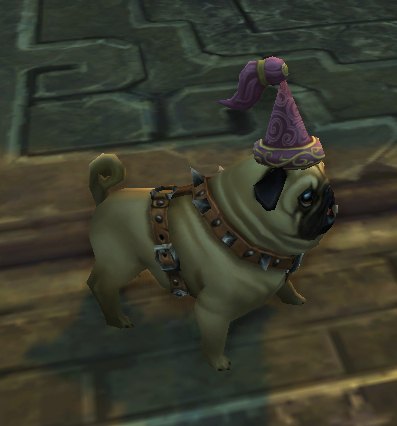 The screenshots are extras I took, mostly pet-related, from the 5.4 PTR. 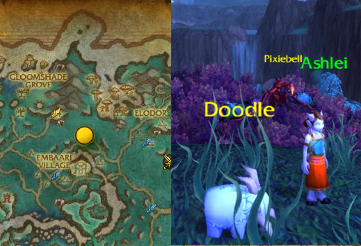 Overview of the Celestial Tournament and Timeless Isle information, including a map for where the queue NPC is. Here’s a preview of all 4 of the pets you can buy after you win the Tournament. Videos of other new pets: Kovok & MoonMoon. This entry was posted in strategy, tamers, video and tagged 5.4, celestial tournament, featured, roundup, world of warcraft on September 9, 2013 by Liopleurodon. Xufu was the most difficult boss for me to figure out a solid strategy for, and yet has the simplest solution. The strategy for Xufu revolves around his Spirit Claws ability. It does a whole lot of damage, but it has an 80% accuracy, which then becomes 100% if the weather is moonlight. Yes, he casts Moonfire. I mean, of course he does. Sigh. 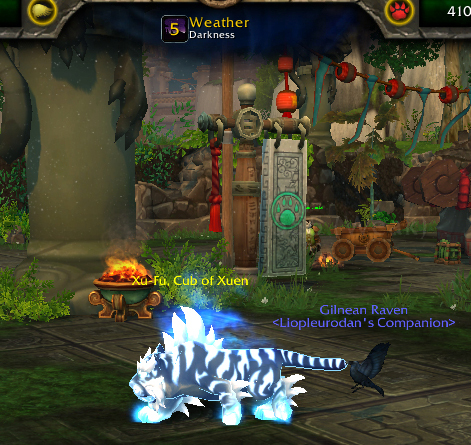 So you have to have a pet with some kind of weather effect to counter Moonlight. I like Call Lightning, because I always like Call Lightning. Call Darkness is also an effective choice, because in Darkness the accuracy of Spirit Claws plummets to 70%. I wouldn’t recommend Sandstorm, because with the Boss buff you’re not doing a ton of damage to begin with. The other reason I’m a fan of Darkness is Xufu’s Feed ability. Darkness is one of the few ways to counter a heal, and Feed heals Xufu for the amount of damage he does, like Absorb or Consume. If you look at the difference between Absorb and Consume, Consume’s baseline hits a bit harder than Absorb, but Consume has a turn cooldown to compensate. Feed is such a big hit (with such a big heal) it’s on a 4-turn cooldown. But, because it is a 4-turn cooldown you can kind of plan around it. 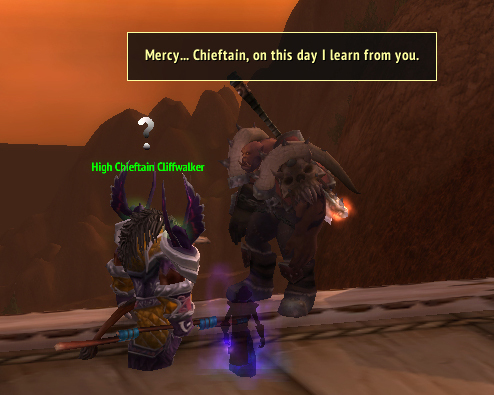 Generally, I did this with the Decoy ability on the Darkmoon Zeppelin or Mechanical Pandaren Dragonling. Decoy is really powerful here because each of Xufu’s attacks is a single hit, so you buy yourself several rounds of uninterrupted offense each time you use it. If Xufu should happen to miss with Spirit Claws on one of those attacks too, it’s super, super sweet. You’ll note from the video I didn’t make good use of my typical Lightning Storm-style offense. This is almost entirely because of the new nature of Lightning Storm. It now lasts a mere 5 turns after being cast, and that first pet isn’t long for this world. 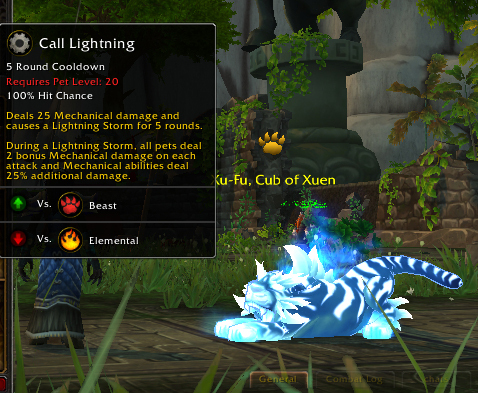 With the mechanical resurrect turn, you have 2 or 3 turns of Lightning Storm at best for the 2nd pet on. Not much time to construct a solid damage over time offense, let alone stack damage debuffs and all that other nonsense. Don’t worry about the shorter duration though. Xufu won’t re-cast Moonfire until after the full duration of his first one would’ve passed, 10 turns later… unless you cast Nevermore on his Spirit Claws, and then he’ll use anything else at his disposal. Though, because we’re using mostly mechanicals, that’s an alright strategy too. The magic Moonfire doesn’t hurt nearly as much as it typically would. If you do cast Nevermore with your Raven though, make sure you take your Raven out before the next turn or he’s going to get creamed. Ultimately, as long as I use a weather pet, and then something with Decoy, and back it up with another offensively strong mechanical in the middle, I win at least 75% of the time on PTR. That one fight when Spirit Claws never, ever misses is usually the percent where I end up crashing and burning. I said there were two methods of doing this, and there are. But the second method is the Universal strategy, usable for nearly any single pet in World of Warcraft, so it’s getting its own post. This entry was posted in strategy, tamers, video and tagged 5.4, celestial tournament, strategy, video, world of warcraft, xufu on September 4, 2013 by Liopleurodon.